Villioti Fashion Institute offers a range of short courses in fashion. The fashion courses are run once a week in the evenings from 5 pm to 9 pm or on Saturday mornings from 9 am to 1 pm and Saturday afternoons from 2pm to 6pm. 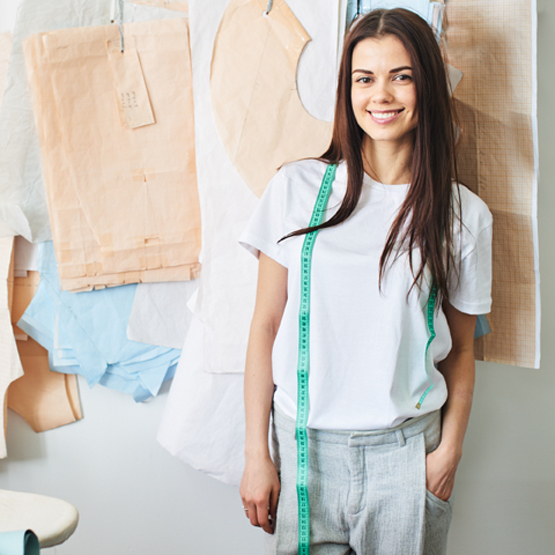 Beginners’ Garment Construction, a short course in fashion, will equip you with the fundamental components of garment construction in both theoretical and practical applications. It is impossible to produce excellent quality garments without in depth quality construction skills and knowledge. Construct everyday separates such as pants, blouses, jackets and outerwear. Have a good understanding of professional terminology. Understand and execute correct cutting layouts and cutting-out techniques. With these skills you will be creating three dimensional garments, mastering, executing and practicing our specialized construction techniques and utilizing all of Spero Villioti’s refined secrets. The art of fluidity and draping has been used for centuries to create prestigious, one-of-a-kind garments. 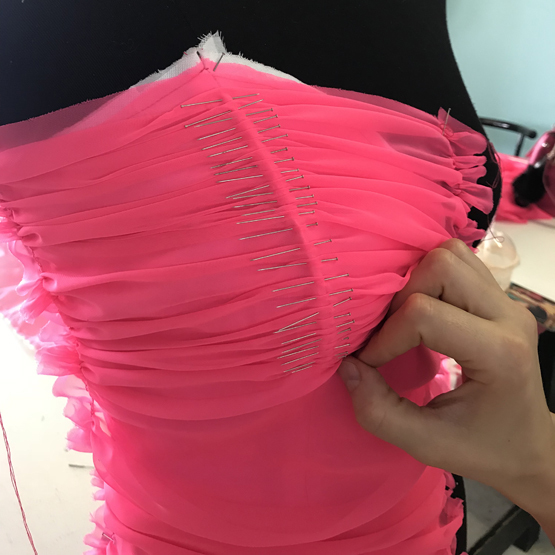 Fluidity and draping will show you the concept of constructing advanced garments utilizing specialist techniques for a professional finish. Understand how to attain the perfect balance between volume and corsetry in construction when it comes to glamourous, highly detailed and corseted garments for special occasions. 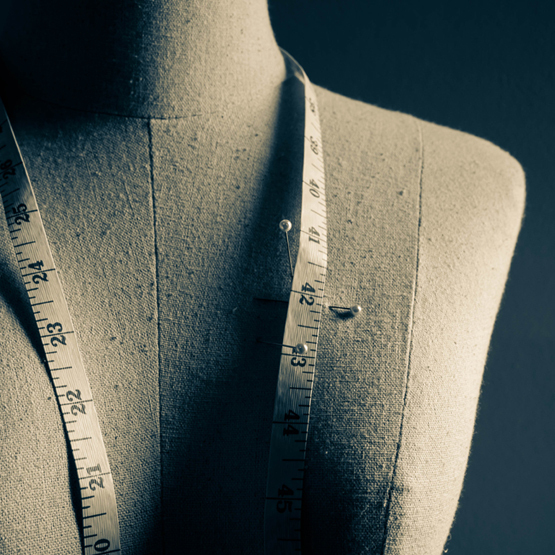 ‘The perfect fit’ is one of the biggest criteria when picking garments out these days. 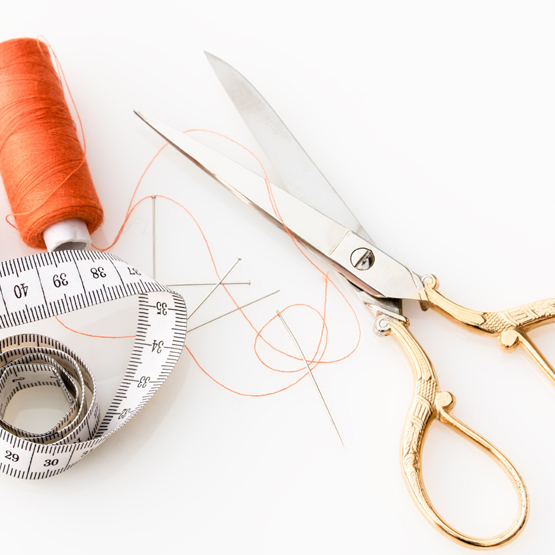 Tailoring will equip you with the specialized construction techniques to create perfectly fitting everyday separates, including pants, skirts and jackets. A short course in hat making, we specialize in teaching design, technique and skills in all aspects of hat making. We offer support and inspiration throughout your millinery learning experience. 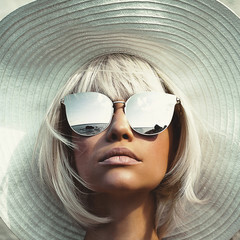 Create exciting and innovating hat designs using sinamay, felt, fabric and buckram. Hats for every occasion including fascinators, wide brim hats, felt hats and avant-garde creations. 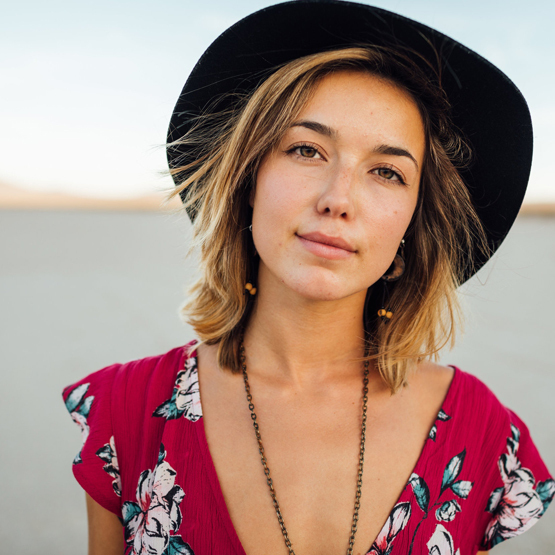 Learn valuable professional tricks used to make hats that are guaranteed to amaze you and allowing you to express your ideas and develop your sense of design. When using a basic hat block, you still shape the brim, choose the fabric, and arrange the trimmings with your own unique touch. Millinery explores problem solving and finds solutions in three dimensional design. Pattern engineering is the greatest tool available to a designer to easily transform their designs from a sketch to reality. The fundamentals of women’s pattern manipulation and pattern engineering will give you the understanding of how to turn a tailored, corseted or specialized garment from a concept or illustration into a pattern that will in turn be sewn into a garment. This fashion course introduces the concept of constructing patterns to draft a set of well-fitting blocks that will form the base of all of your designs. In this short fashion course you will be introduced to the concept of constructing patterns by using and applying the knowledge which you will have gained during the Beginners’ Pattern Engineering course and the Beginners’ Garment Construction course, to create advanced garments that are moulded to fit and tailored to perfection. 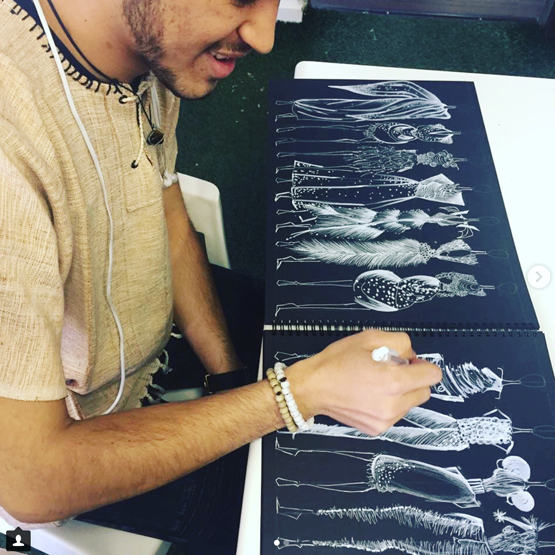 The fashion course will provide you with an understanding of how to create a pattern from a concept or illustration that will in turn produce an excellent fitting garment. You will also learn how to grade patterns which is the process of proportionally increasing/decreasing a master pattern to any required size; according to a prescribed set of body measurements. Drawing is an essential tool that allows designers to visually communicate and develop their ideas. Designers who have the power to communicate visually have an enormous advantage in the work environment. Rendering fashion illustrations, creating impressive visual presentations and producing high quality flats and technical drawings are all key to the fashion design process. This course provides the tools to express unique creative ideas and by mastering its key principles, you will develop creatively and refine your understanding of what makes your design successful. Must already be proficient in garment construction. Must have own sewing machine. Must have basic knowledge of pattern making and block drafting. We also offer both a Diploma in Fashion or the Bachelor of Fashion Degree.